( X ) The code execution cannot proceed because amd-ags-x86.dll was not found. Reinstalling the program may fix this problem. Now I don't have AMD graphic card in my desktop just Nvidia. And I don't understand why is your exe file ask me about this dll file of amd-ags-x86. My operating system is Windows 10 64X Professional with the latest update of today. Please tell me what to do with this to fix the problem. This DLL is only used when an AMD GPU is detected and it should not prevent GPU Shark from running properly on your system. Thank you for your time to reply. And I did download the file from the link you provided in your message. But still the same error with amd_ags_x86.dll. Not sure why do I have to have this dll because of my Nvidia graphic card not AMD. I tried to run the installer but no further beyond this error message. NEVER MIND and it's good news and is WORKING now! !..What I did is to extract the installer to a new folder on desktop and now see the GPU Shark. 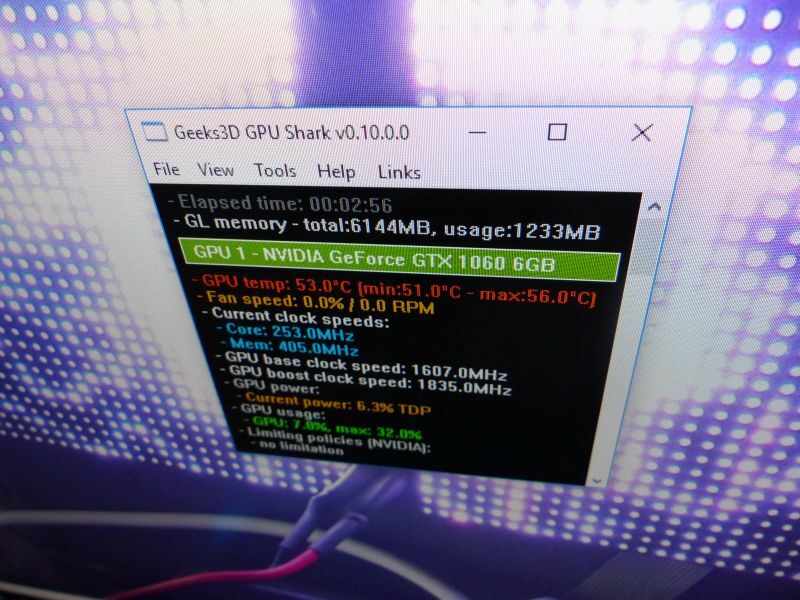 Now my question is that where is GPU Shark goes to? As you see I put this on desktop but not sure if it should be in C drive or not necessary. GPU Shark is a standalone executable and is only shipped in a portable way. Then, just extract the archive where you want (as long as you keep the amd_ags_x86.dll in the same folder than GPUShark.exe) and launch GPU Shark. You can extract the zip archive in the C or D (or E...) drive, really where you want. A maintenance release of GPU Shark is ready.